Our beautiful fragrance products must be experienced. Host a Scentsy party to discover what’s new, make fun memories with friends and family and earn Host Rewards for the products you love. So why not have a party your way? I will help take care of the details. Just pick a party, and you’re on your way to earning free Scentsy products! Invite your friends over for a girls’ night in (I have lots of theme ideas). Host an open house for a fun, freestyle event. Take the party everywhere you go with an on-the-go basket party. Host an online Social Media party! Fun, faced pace, and you can stay in your pajamas. For friends and family far and wide, invite them to shop your party online! I’ll set it up with your own, personalized online link. With our handy dandy online Party Planner, you can send invites and track RSVPs. Plus, use social media to let everyone know you’re having a party, and invite them to shop online. Need gifts for the holidays, special events and occasions, or items for yourself? 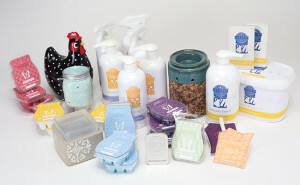 Host a Scentsy party and start earning your Scentsy party rewards. Better yet, join our team, make money, AND earn free Scentsy products from your own party. Example only; actual Host Rewards will vary.